Humpty Dumpty's Day Nursery in Pickering, UK. Humpty Dumpty’s Day Nursery is a private Day Nursery in Pickering registered by Ofsted, last inspection was December 2014. It is registered for 25 children per day from the age of 3 month to 5 years. 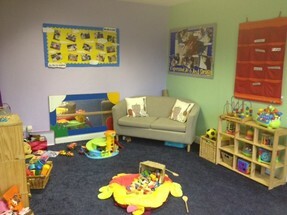 We offer full time and part time places and funded sessions for 2, 3 and 4 year olds. We also offer a pick up and drop off service from all local schools in Pickering. The nursery is open 52 weeks of the year, between the hours of 8am till 6pm and is only closed on bank holidays. Whilst at nursery your child will have a two course lunch and a light tea. There is also a snack mid morning and afternoon; these are all included in the price. Children who access funding have the option to pay for lunch/tea or bring their own packed lunch/tea. All dietary requirements are catered for. 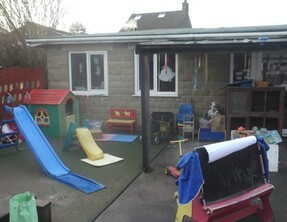 Throughout the day children can access our enclosed outdoor learning environment throughout the year as we have purpose built shelters. We also have a Before and After School Club in Pickering offering care for all school children with a walking bus system to and from the schools. A holiday club is also available.